Thanks to the Kirky Herald for publishing a short feature on my ride. Two years ago, Bishopbriggs youngster Patrick Kiehlmann (11) almost died after suffering complications from a ruptured appendix. It was only thanks to the expert care of doctors at Yorkhill Hospital that the little boy pulled through. October to raise cash for Yorkhill Children’s Charity. 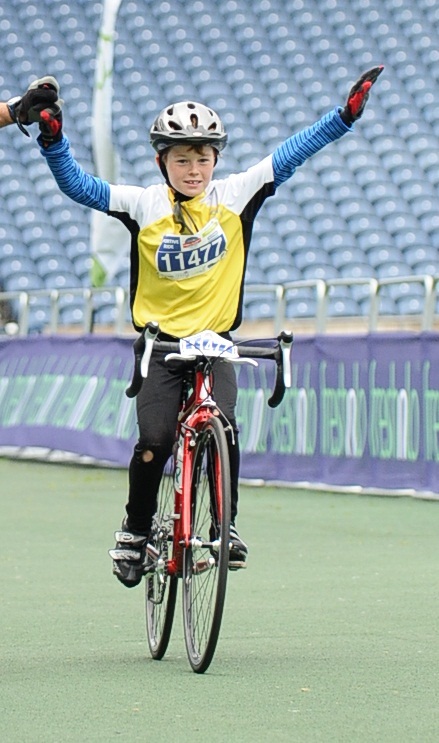 Last year, the youngster was one of 800 people who took part in the Pedal for Scotland Sportive event, a 110-mile cycle challenge taking in Edinburgh and Glasgow, inspired by Olympian Sir Chris Hoy. Now Patrick plans to step up the pace and take on the 600-mile trek to Land’s End. 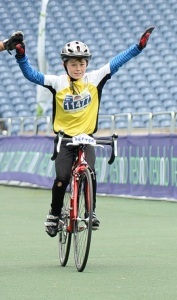 When he was just five years of age, Patrick did the 50-mile Cycling Scotland Pedal challenge ride from Glasgow to Edinburgh. Each year his school also takes part in Sustrans Big Pedal, where the children log their journeys to school over 10 days against a virtual Tour of Britain. Patrick said he decided he would like to try it for real, see some sights and have his own Tour of Britain. His dad Mark will be following him all the way on his big challenge. Mark said: “Without the expert care and dedication of the staff at Yorkhill, Patrick would not be with us today.